Vervaeke, W. 2013. 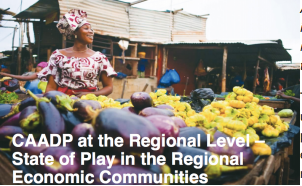 CAADP at the regional level - State of play in the Regional Economic Communities. GREAT Insights, Volume 3, Issue 1. December 2013 - January 2014. African regional economic communities (RECs) are key to increase recognition of the importance and potential added value of regional action on agriculture. All RECs, in general, recognise agricultural development as a priority, but the manner in which regional action on this thematic area is taken forward, and the degree of progress, has differed. In October 2012, the Common Market for Eastern and Southern Africa (COMESA) adopted a roadmap on how to move towards a regional compact and investment plan. The roadmap was developed in consultation with representatives of member states, regional farmers’ organisations, the NEPAD Planning and Coordination Agency (NPCA), the African Union Commission (AUC) and development partners. The CAADP Unit of the COMESA Secretariat engages with other relevant divisions within the Secretariat and specialised regional agencies, to ensure coherence and create synergies. Due to the specificities of the COMESA region the roadmap furthermore developed a twin-track approach of developing a CAADP compact and investment plan at COMESA level, while enhanced cooperation in specific areas (e.g. production and value chain development) will be pursued together with EAC and SADC in the tripartite context. The roadmap also includes analytical work required to inform the investment plan and an agreement to establish a regional CAADP coordination group for development partners at COMESA level, in order to strengthen alignment and harmonisation of development partners’ support. To ensure effective implementation of the roadmap, the capacity of the COMESA CAADP Unit has been strengthened through the recruitment of a CAADP Regional Process Facilitator and a Policy Analyst. Following an initial review meeting in May of this year, the COMESA CAADP Compact and Investment plans were validated in September and will soon be signed by the regions’ Ministers of Agriculture. The East African Community (EAC) developed a regional Food Security Action Plan and other initiatives geared towards regional agricultural development. This was done outside of the CAADP framework up until August 2011, when the EAC agriculture ministers mandated the EAC Secretariat to start the regional CAADP compact process. To deliver on this mandate, the EAC Secretariat developed a roadmap for the regional CAADP process in August 2012, which has been approved by the EAC Council of Ministers. To address capacity constraints of the Agriculture and Food Security Department of the EAC Secretariat, a regional process facilitator was recruited in early 2013 with the support of NPCA. The roadmap contained an ambitious timeline to develop a compact and investment plan by early 2013. A stocktaking meeting took place in Bujumbura in September 2013 to review the draft of the current compact and ensure its alignment with existing regional policies such as the EAC Food Security Action Plan. It is expected that EAC CAADP compact and investment plans will be signed in early 2014. Economic Community for Central African States (ECCAS) initiated the development of a regional agricultural policy in 2008, while launching the regional CAADP process in May 2012. A meeting of the regional CAADP steering committee was held on 14-15 March 2013 to guide the preparations of a regional Round Table for the adoption of the regional compact and investment plan. Followed by a consultation workshop with Non-State Actors to collect their views on the regional policy, compact and investment plan. After this period of consultations the region adopted its CAADP compact in July 2013 and the regional investment plan was validated at the technical level in September of the same year. The ECCAS Secretariat is also seeking to set up a CAADP Development Partners’ Coordination Group at the regional level. The Intergovernmental Authority on Development (IGAD) launched the process of developing a regional CAADP compact in January 2012. A team of regional experts was recruited to support the IGAD Secretariat. It has organised and facilitated consultations with national stakeholders in all IGAD member states on the priority issues to be addressed in the regional CAADP compact. A regional consultative meeting with Non-State Actors followed in October 2012. It is important to note that this initiative is being developed simultaneously with the IGAD Disaster Resilience and Sustainability Initiative (IDDRSI), a scheme aiming at ending drought emergencies in the Horn of Africa by developing a mid- and long term response to current and eventual future crises. 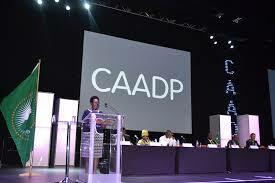 The region’s CAADP compact was validated in May 2013 and an investment plan is currently being developed. The Southern Africa Development Community (SADC) initiated a process to develop a Regional Agricultural Policy (RAP) in 2008. For a long time the RAP and CAADP were considered to be two separate frameworks, but this perception has gradually shifted. 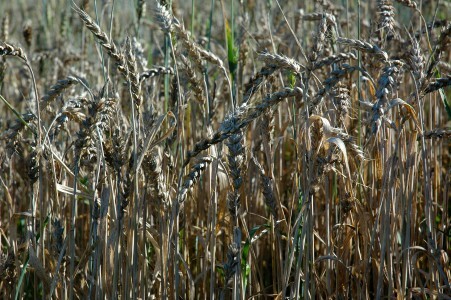 The Ministers of Agriculture and Food Security endorsed a ‘CAADP-compatible’ RAP in June 2013. Preparations for a regional CAADP investment plan are underway. A first challenge is the need to articulate the national-regional nexus by ensuring a certain level of coherence between national and regional initiatives while respecting the principle of subsidiarity. So far the level of vertical coherence (between regional and national levels) is not sufficiently visible. Specific analyses to better articulate the coherence between national and regional compacts and agricultural policies is required to identify gaps where compacts can complement existing efforts. Indeed, the regional CAADP compacts should focus on positive spill over effects and providing synergies with member states’ national priorities. For regional integration to work, including cooperation on agriculture and CAADP at regional level, it is fundamental to better match the bottom-up regional integration processes and dynamics, which tend to be driven by the private sector and various forms of investment, with the top-down regional integration moves,such as policy frameworks and protocols that are usually driven by the governments and the public sector. A second concern is ensuring inclusion of non-state actors, especially Farmers Organisations (FOs) and the private sector for a comprehensive multi-stakeholder approach. Here it is important to identify stakeholders that can fully participate and shape the policies by providing clear roles and responsibilities, especially when it comes to the implementation stage of the compacts. The consultation should be more than a box ticking exercise, giving ample time and proper space for the consultation processes. The experience of the West African FO, ROPPA, in shaping the ECOWAS investment plan is a good example. The formulation of a regional compact should guarantee stakeholders’ ownership and aim at gathering support for its implementation. A third point relates to the strengthening of institutional capacity of the regional organisations to coordinate CAADP activities. While it is generally recognised that regional organisations in Africa have weak institutional capacity, most RECs have benefit from donor support to strengthen their agricultural departments. The ECOWAS Commission and COMESA Secretariat are commended by national and regional stakeholders for providing effective and timely assistance to member states with the identification of their food security needs and coordination of external support to them, especially during the national CAADP processes. In the end, political will and the ability to drive CAADP often proves the major determining factor for the success of this framework at the regional level. Fourth, regional CAADP initiatives should be linked to efforts in other sectors, as agriculture itself is also inherently linked to other sectors. Actions and policies on regional trade, infrastructure and other related regional initiatives have direct consequences for regional food security and agricultural development. While many linkages will emerge naturally, such as in sanitary and phytosanitary regulations, agricultural trade corridors and irrigation. The first-ever joint conference of the African Union (AU) Trade and Agriculture ministers provided an opportunity to discuss these synergies and boost intra-African trade as a key to agricultural transformation with the participation of all the key policy stakeholders. And lastly, the role and coordination of development partners (DPs) in the CAADP process needs improvement. In many RECs coordination is often still defined by ad hoc exchange of information. Several DPs finance regional programmes that contribute to agriculture but without inscribing themselves fully within the CAADP framework. Setting up (informal) coordination structures around the regional CAADP compact, incentivising harmonisation of interventions around, not only, regional agriculture and food security but also DP support in related sectors (trade, infrastructure, resource management). 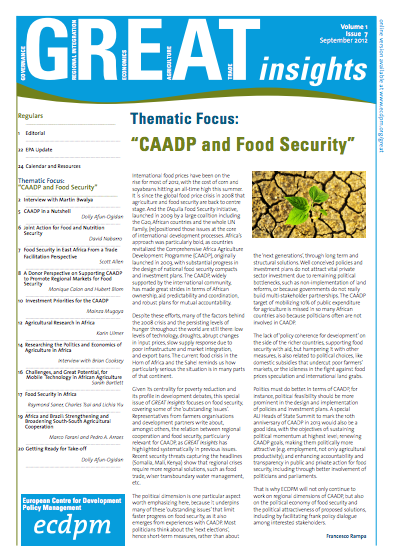 As we enter the 2014 AU Year of Agriculture and Food Security, national and regional CAADP compacts and investment plans will be a reality in most RECs, and the momentum will need to shift towards the implementation stage as regional and national CAADP compacts that exist only on paper will serve no one. This article is based on an updated version of information presented in Rampa, F., and Seters, J. van. 2013. Towards the development and implementation of CAADP regional compacts and investment plans: The state of play. ECDPM Briefing Note 49. Maastricht: ECPMD. www.ecdpm.org/bn49, and on Regional approaches to food security in Africa in the context of CAADP had been initially reviewed in a series of ECDPM Discussion Papers No 128, www.ecdpm.org/dp128. Willem Vervaeke is a Junior Policy Officer of the Food Security Programme at ECDPM. 1. At the regional level the Arab Maghreb Union (AMU) and the Community of Sahel-Saharan States (CEN-SAD) have not yet launched the CAADP implementation process but many of their member states have already prepared national compacts and investment plans. 2. See Roquefeuil, Q. de. 2013. Initial reflections on the ECOWAS Common External Tariff. GREAT Insights, Volume 2, Issue 8. 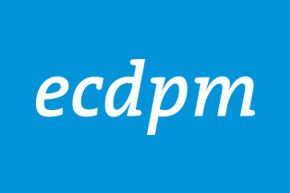 November 2013,www.ecdpm.org/great_2_8.